Ever since A Game of Thrones was published in 1996, readers have been seeking out similar works of grimdark: a fantasy subgenre in which characters and plotlines are morally gray or completely amoral, and the line between hero and villain is blurred. Grimdark stories often take place in a dystopia or alternate world with some sort of dark twist, such as a centuries-old blood feud — grimdark books also tend to involve violence, and lots of it. Finally, they tend to keep readers guessing, leaving it unclear who will come out on top (unlike in traditional fantasy, where the “good guys” may struggle, but almost always triumph in the end). So for those who like their fantasy with a healthy side of grit, grimdark might just be the subgenre for you. Here are 25 grimdark books to get you started in this darkly realistic realm of speculative fiction. We’ve put them in chronological order so you can see how the genre has evolved, but this is by no means a required reading sequence — feel free to explore whichever appeals to you first. Elric of Melniboné is the fundamental opposite of fantasy's famous Conan the Barbarian — who, while rugged in appearance and demeanor, is a respected and chivalrous warrior. Elric, on the other hand, is a merciless sorcerer who will stop at nothing to get what he wants. In this first installment of Moorcock's Elric series, the titular character is on a quest to kill his cousin using Stormbringer — an ancient, soul-devouring sword — in order to ensure his reign as emperor, which begins Elric's downward spiral into even greater evil. Lord Foul’s Bane is one of the most frequently cited originators of grimdark. In this novel, a young, leprosy-affected man named Thomas Covenant is transported from our world to “the Land,” a parallel dimension based on classic fantasy tropes. However, Thomas believes this experience is merely a delusion; in a frantic, thoughtless attempt to test the boundaries of his new reality, he commits a horrific act of violence. The rest of the book and series see Thomas grappling with his own morality and what he perceives to be true about the Land — for if it’s all in his imagination, how can anything he does be wrong? This dark and mind-bending work has been hailed for its bold subversion of the fantasy genre, even among its modern successors. You’ll find that the company in this novel live up to its name: the titular characters are ruthless mercenaries, employed by an icy-hearted empress. Indeed, from the moment the Company is hired by “the Lady” and outright murder their former employer just to escape a contract, you know they’re not to be trifled with. Then again, neither are “the Taken,” a legion of the Lady’s former adversaries, brought together to serve under her. And then there’s the “the Circle,” a group of rebels against the Empire who purportedly want to restore goodness, but whose motives and character are just as questionable as any of the others’. This winding tale full of violence and betrayals is a delicious piece of grimdark, and only the first in a series of epic adventures surrounding the Black Company. This first book in the Coldfire trilogy follows Damien Vryce, a priest who wishes to help the residents of his planet Erna control the “Fae,” a malevolent energy force. But in order to do this, Damien and his accomplices must venture north to restore the abilities of an "Adept,” a person who can sense the Fae in the surrounding world. On their journey, they come into contact with the mysterious Gerald Tarrant, who tells them of a powerful Adept called “the Hunter" who may be able to help them. It soon becomes clear that Gerald is not all he seems — but then, neither is Damien’s party. Loyalties and ethics are tested (and fail) in this twisted version of the classic hero’s journey. Another excellent work of epic grimdark fantasy from a female author, A Cavern of Black Ice concerns two young mages named Ash March and Raif Sevrance. Like in the movie Serendipity (except not really like that at all), the events of this book continuously bring the two closer and closer together, before they finally meet at the end to fulfill their shared destiny. In the process, Ash and Raif discover their true natures and what they are willing to do to survive — by using the dark power they each possess, but don’t yet understand. Erikson himself has said that the fantasy conventions of "good heroes and insipidly stupid bad guys" bore him, so it’s no wonder that this novel — the first of his ten-part Malazan Book of the Fallen — is a morally ambivalent masterpiece. Gardens of the Moon details a intense power struggle among the inhabitants of the Malazan Empire, including a Black Company-esque troop of imperial assassins, a ragtag group of underground con artists, and the fed-up members of Malazan’s army. It’s a fascinating dynamic in which all parties want the same thing, yet must battle each other in order to ultimately claim it for their own. The protagonist of this post-apocalyptic grimdark novel, warrior/mastermind/sorcerer Anasûrimbor Kellhus, is a harbinger of things both great and terrible. With his cunning abilities, he takes several others under his wing to help him on his mission — but what is his true mission, and will it bring about glorious restoration, or yet another apocalypse? Bakker’s 600-page whopper will no doubt leave you reeling with its philosophical ruminations, not to mention mesmerized by the “holy war” that Kellhus sets in motion. Abercrombie is one of epic and dark fantasies’ most prominent contributors, so it’s no wonder he has a significant place in the grimdark canon. The Blade Itself certainly takes the cake in terms of violence, with just about every character performing terrible acts throughout the story: from creative methods of torture to familial abuse, this novel is not for the faint of heart. But don’t worry, all that violence comes not at the loss of characterization! On the contrary, Abercrombie makes what would otherwise be unbearably brutal into something compulsively readable with the profound, storied depictions of his characters and why they do what they do. Acacia is another iconic fantasy series with grimdark overtones. It begins with The War With the Mein, in which the ruler of Acacia is killed by an assassin from a race called “the Mein.” His four children then assume control to keep their father’s perfect empire from falling apart — only to find that it’s not so perfect after all. Their previously innocent perceptions of Acacia shatter as they learn the true cost of maintaining their family’s power, and wrestle with their father’s legacy while attempting to forge their own. Like Donaldson in Lord Foul’s Bane, Durham does a particularly skillful job of overturning fantasy conventions here, to surprise and unnerve even the most jaded fantasy reader. If you’re constantly searching for more diverse representation in your fantasy, The Steel Remains is the grimdark book for your list. This novel centers around Ringil Eskiath, a war hero who’s rejected by his family due to his sexual orientation. But when local troubles arise, his mother realizes that only Ringil can help solve them, and summons him back. Our hardened hero must now investigate the phenomenon of a rising slave trade in his homeland, incited by a violent supernatural force that he cannot understand — yet also one that he finds himself curiously sympathetic toward over the course of this daring and complex narrative. Prince of Thorns, the first installment in Lawrence’s Broken Empire series, tracks the evolution (though perhaps “devolution” is more accurate) of Jorg Ancrath, from privileged prince to street-smart savage. After his mother and brother are murdered, Jorg runs away from royal life to learn the ways of outlaws and thugs, returning only when he has toughened himself to the point of non-feeling — but not merely to resume the throne. No, Jorg Ancrath is out to overthrow the system the only way he knows anymore: through bloodshed. But what he doesn’t anticipate is treachery against him in this broken empire, and the sharp sting of memories he cannot seem to repress. Lawrence himself is a professed admirer of George R.R. Martin, in particular, citing the Red Wedding as a crucial inspiration in his work. ""I was impressed by how ruthless he was with characters we were invested in and how exciting that made reading the series." Tarmun Vykers is the most powerful warrior in the land, revelled by admirers and feared by enemies. But his reign of glory is cut short when his old opponents band together and enact revenge, leaving him disfigured and unable to fight again. Or so he thinks. Vykers soon happens upon an opportunity to gain his old body and strength back… but to attain this invaluable prize, he must sacrifice something in return. Will the celebrated warrior rise again to even greater heights, or will hubris be his downfall — especially when faced with evil beyond his imagination? When it comes to recurring apocalyptic events, you certainly can’t beat the grimdark repertoire. The Mirror Empire is another book wherein the world teeters on the brink of destruction, as a few individuals conspire what to do before it tips. Among them is an orphan with a violent past, an illegitimate ruler desperate to maintain her power, and a general who’s torn between two sides of herself, all with their own complex motivations and moralities. The heavy female presence in this novel is certainly a bonus, but the true star of The Mirror Empire is Hurley’s wickedly dark take on fantasy, including (but not limited to) blood magic and ritualistic cannibalism. Seriously, if you want to test your stomach, this is the one to read. When General Zosia “Cold” Cobalt (what a name!) set out to conquer the Crimson Empire, she never thought she’d want to give up her power. But after growing sick of the bureaucracy and backstabbing built into being queen, Zosia vanished — leaving the empire to self-destruct in her wake. Years later, the land is in turmoil, the government has disintegrated, and an insurgent movement rises, united under the slogan “Zosia Lives!” And so she does… but not in the way anyone realizes. Yet despite having left her old world behind, the former queen and mercenary cannot resist one last chance to dominate it, and emerges from the shadows to rediscover just how far she’ll go in that pursuit. Not to be confused with Scott Lynch’s Gentleman Bastards, this first installment from Jonathan French’s Lot Lands series is much more bleak: Kirkus describes it as “like Mad Max set in Tolkien’s Middle-earth.” The titular Grey Bastards reside in the Lot wastelands, populated by half-orcs who keep the peace between the “frails” (humans) and the “thicks” (full-on orcs). But humans versus orcs isn’t the only power dynamic at play here, for even within the gang of the Grey Bastards, there is insurrection. And when one of their members is cast out for treachery, he must learn to fend for himself… whatever that means in this desolate world, which harbors horrific secrets about its past. In Shattered Dreams, a mercenary-turned-shepherd named Drangar Ralgon flees an impending war that will force him to take responsibility for his crimes. But when he ends up imprisoned anyway, he teams up with a centuries-old wizard to make things right (or at least, right as they see things). They’re helped by a warrior who will do anything to keep his homeland safe, and with their three-pronged plan of insider information, strategic violence, and ancient magic, they just might be able to reverse the tide of war — but at what cost? A standout among the violent warriors and corrupt empires of grimdark, Certain Dark Things involves bloodlust in a more literal sense: vampires. Set in Mexico City with a flavor of Aztec history, this novel follows two unlikely companions, ruthless blood drinker Atl and scrappy street kid Domingo, as they run from the demons (both metaphorical and actual) that pursue them. From the rich cultural background of each vampiric subset to the intrigue of a decidedly un-Twilight human-vampire relationship — not to mention all the inevitable, but still gratifying, gore — Certain Dark Things is the perfect choice if you’d like to inject some “fresh blood” into your reading. And if you like vampire grimdark, wait until you get a load of pirate grimdark! Captain Drake Morass is the definition of self-serving: throughout his career as a buccaneer (try saying that ten times fast), he’s always looked out for number one. But when a nearby empire starts hunting down pirates, Drake realizes he’ll need allies to outlast their violent campaign — and must convince former enemies to join him, if any of them have a chance at survival. Of course, Drake himself has yet another ulterior motive in mind. And a single slip-up in all this wily manipulation might just lead to his downfall. This sprawling, desert-based fantasy revolves around Sulema, the daughter of the Dragon King, who controls the mythic beast that sleeps “at the heart of the world”... and if awakened, would destroy it. Sulema’s mother has isolated them both from her father, but this has done nothing to quash the true power within her, nor to keep her destiny from knocking. Wolf’s epic story, interspersed with countless imaginative subplots, will have you biting your nails over Sulema’s decision: will she align herself with her mother, a dangerous sorceress, or the father whom she’s never known — and may or may not be able to to trust? Grimnir is the sole surviving member of his kind: a creature known as the corpse-maker, the life-quencher, and the bringer of night. In this chilling novel, Grimnir emerges from his lair to seek retribution against an enemy, but finds that he can no longer navigate the world as he once did. Refusing to succumb to defeat, he kidnaps a young woman to serve as his guide, and traverses the lands of England, Ireland, and Denmark on his relentless quest for vengeance. Invoking the ensconced creepiness of Old English mythology (Grimnir is implied to be of the same lineage as Grendel, from Beowulf), A Gathering of Ravens is a brilliant new entry into this old canon, which is arguably the cultural foundation of grimdark itself. One of the most celebrated grimdark works of 2017, The Court of Broken Knives takes a deep dive into the psychology of mega-twisted characters. In terms of plot, an empire has become corrupted, and the only way to save it is by burning the whole thing down to rebuild from ashes. At the center of all this is a boy named Marith who will change everything — a boy who’s introduced as an ordinary soldier, but who wrestles an almost inconceivable darkness within himself. The city of Riaow has always been ruled by the Melokai: a woman chosen to lead her people for a decade or more, after which time she must have her tongue cut out (so her words cannot undermine the new Melokai). Warrior Ramya has served as Melokai for the past twelve years and knows that, despite the success of her reign, its end is overdue. She braces herself for what’s to come — but to her shock, she does not receive the traditional Melokai punishment. Instead, she hears a prophecy that sets her down a new — though not any more pleasant — path to preserve Riaow, as she faces unknown, vicious forces opposing her from both inside and outside her own realm. From the author of Exo, one of our best sci-fi books of all time, comes this saga of four siblings battling for power in the Asian-inspired island city of Kekon. For centuries, their sole concern has been harnessing the magic of jade (the city’s greatest natural resource) in order to protect the island from outsiders… but when peacetime arrives, they turn on each other, all vying to be the ultimate ruler. Ancient laws of magic and nobility are no longer a concern — from here on out, it’s everyone for themselves, with as much jade as they can possibly exploit. Lee’s vivid prose and utterly unique worldbuilding make for a razor-sharp epic you won’t soon forget. When the Balian Empire starts to crumble under the duress of war, disgraced scholar Tyrone Cessil realizes that flight is his only possibility of survival. Running from the empire, he falls in with a group of (you guessed it) brutal mercenaries, who go by the name of the “Thousand Scars.” Tyrone — again, a former scholar — is no doubt out of his depth here, but that doesn’t stop him from ingratiating himself into their lifestyle. As the Thousand Scars wage their own small but extremely bloody war of deadly campaigns, Tyrone begins to think that they might have the ability to save the empire — or more accurately, to claim it for their own. The final entry in our grimdark extravaganza is Divergent meets Akata Witch meets, well, grimdark. Young Rin is the impoverished daughter of criminals living in the Nikara Empire, where all youth must take a test called the Keju to determine whether they are eligible for elite military training. To everyone’s surprise (except ours), she passes with flying colors and enrolls in the rigorous military school of Sinegard. But Rin’s troubles are far from over: from her racist and sexist classmates to her seemingly unhinged instructors, she has no idea where she fits in at Sinegard. That is, until she gets in touch with a dark side of herself that she never knew she possessed, and begins honing her powers to retaliate against her enemies. Kuang’s own studies of Chinese history and the Opium Wars make The Poppy War a particularly lucid work of military fantasy — and while underdog-with-secret-intellect might seem like a recipe for hero, Rin’s undeniable similarities to Mao Zhedong (a parallel Kuang herself has corroborated!) make for a much more fascinating character to follow. 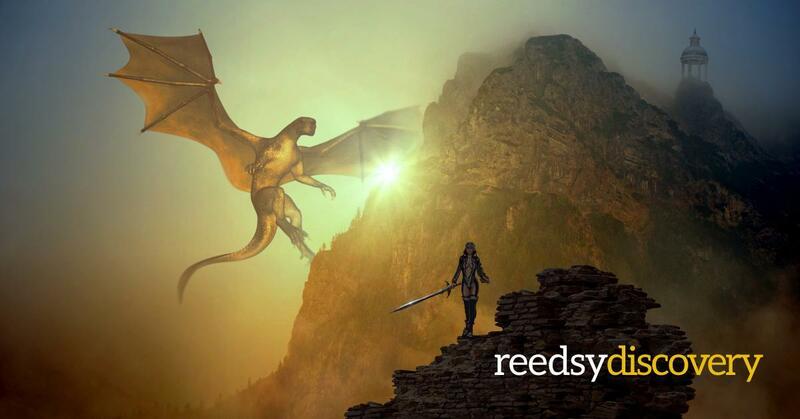 Looking for exciting new epic fantasy novels? Tired of waiting for Winds of Winter? Sign up to get the hottest indie fantasy recommendations while you wait!